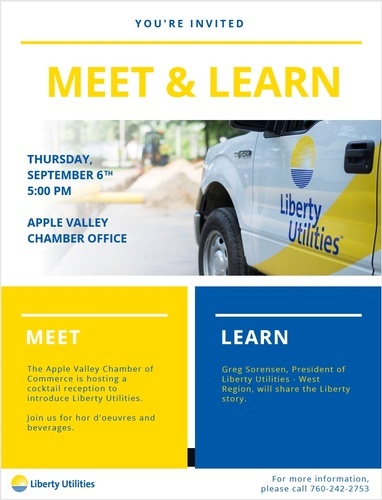 The Apple Valley Chamber of Commerce is hosting a cocktail reception to introduce Liberty Utilities. Greg Sorensen, President of Liberty Utilities - West Region will share the Liberty story. You're invited to join us for hor d'oeuvres and beverages.